“Dying on Stage.” A comedy of tragic proportions. 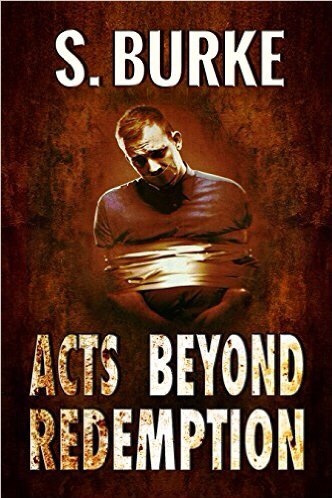 I kid you not!” #RRBC @pursoot #IARTG – Welcome to the World of Suzanne Burke. A recent tag on Twitter by my friend Vashti asked me to reveal something personal about myself. I shared the fact that I had once taken acting classes. That memory caused me to shudder and laugh simultaneously. Are you gonna ask me why? So … the acting classes led to a few forgettable amateur performances with a group of like-minded but otherwise normal people. Trust me Laurence Olivier’s reputation wasn’t in any danger of being outshone. But, hell … we were a dedicated bunch. In a group like that you soon learn to put your hand up for anything remotely connected to a production, which meant we all worked scenery, props, backstage and front of house when we weren’t actually selected to be up on that stage ourselves. Like I said dedicated. Or maybe certifiable. Anyways … I was chosen for a part in the next production. It was a great part. I got to be shot and die on stage as the final curtain came down and everything! Seriously! I mean let’s face it that was probably the greatest challenge ever handed an aspiring actor. I rehearsed the hell out of that final scene. I perfected pitching forward as I’m shot from behind and landing face down on the floorboards, but with a side view so the audience could get a clear view of my dead face as my shocked lover comes forward and kneels over me in an agony of loss. My assassin still stands with his gun in his hand and a shocked look on his face. That was the pivotal curtain moment. Meanwhile back on the floorboards I lay, unmoving. I held it, I had that sucker under perfect control, until my dead nose came in contact with a pile of dust that one of us hadn’t quite swept off stage before the curtain came up. I felt the dust reaction hit my senses and I began willing that damned curtain down. But my mourning lover was milking the hell out of his big scene and I knew I was in trouble. I thought my head was about to explode. At last my lover moaned out his last effort and the silence just before the curtain drops permeated the theatre … and I let loose the sneeze from hell. I was mortified. Especially when I heard that first snicker, you know that embarrassed snicker you make just before you double up laughing? Yeah … that’s the one. Multiply that by about thirty folks still sitting in our audience. Uh-huh. Yep. And then I heard it … A voice in the crowd that carried well called out ‘Bless You’ and the whole place erupted. To make matters worse my lover collapsed in gales of hysteria over my no longer dead body which had his boyfriend off stage wishing me dead all over again. My assassin barely managed to put the gun prop down before she cracked up completely. Need I say that the only stage I was ever welcomed back on was the first one outta town. True story. Seriously it is … even I couldn’t come up with this one. Thanks for stopping by, I hope that my sharing a memorable moment has helped you to smile. Have you ever had an oddly pivotal moment like that? I’d love you to share it. That is hilarious. Isn’t it just the thing, when you try to stop a sneeze or cough from coming out, it just comes out at full force instead. Many years ago, my two oldest children, who were aged 6 and 4 had been going to jazz dancing classes. The end of year concert came up. My 6 year old daughter did fine in her dance. My 4 year old son was meant to hold hands with a little girl and dance around the stage. Instead, my son just stood there like a stone, unmoving, with a dazed look on his face. The little girl kept pulling at his hands and dancing around him. Nothing. He just kept on standing there like a statue. It was like a comedy skit. Everyone laughed, clapped and cheered. Some people even said it was the best act in the concert. Oh my gerd. Soooz, this is so funny – not just because of what happened, but because of the skill you used in writing about it! Brilliant! 😎❤️️ Aw, thanks, Gerry. Yeah, it was one of THOSE moments to be sure. I’m so glad it gave you a laugh, my friend. That did make me smile, particularly as I too spent many hilarious years in AmDrams. I really loved being an actress, and sometimes in my writing I feel that I am writing something that is happening right this minute on the stage. Thanks for sharing that with me. 😊Hi, and thanks so much for stopping by. I still cringe when I think about that night … lol. I often wonder what happened to the others that were up on that stage with me. I too clearly visualize a stage setting when I write. It’s a great process. I enjoyed the heck out of that tale, Soooz. Thanks for the morning chuckle. That is definitely one to remember, LOL. Ha ha ha. Excellent tale Soooz. Did a little theater myself so this scene was precious to me. Ha haha. I thik it would have been the floor trap door rather than the dust. 😂I hope the audience found it memorable. I have the feeling that this particular play was talked about over drinks on their way home that night. Sigh! Ah … Stardom is such a fleeting thing. rotflmao. I still cringe when anybody says ‘Bless You” Sigh. Soooz, you’re a gifted writer. I was right there with you, seeing it all take place, and it was hilarious. Thanks for sharing. 😎I’m still incognito and living in a safehouse kindly provided by other actors sympathetic to my plight. 😂 Exit … stage right.